Rick, you have a wonderful group of people working for you. They were quick and courteous. The room looked very festive--just what I was looking for. Rick, the balloons were a huge hit! David is editing the video today. I'll have him send to you. Thank you so much for all. Pleased is not the half of it! I'm planning on writing a 5 star yelp review for the kind and accommodating customer service and top-notch décor we received! Rick,Thank you so much! The signs and balloons for Max's party were AWESOME!!! We had no idea that the room would look so cool. Max loved everything and so did we. You did a terrific job. Please feel free to use us as a reference and I will definitely pass your name along to friends in our area. Great job as always. Everything was perfect. I have the Winter Classic sign in my house and Jack wants to hang it on the basement wall. You can be certain that I will definitely recommend you. You are very welcome! We (family) and guests were surely impressed, your name and number has been added to my contact list for future events. I will definitely recommend you if I know of anyone that is in need of balloon services. Excellent customer service! Thanks for checking in to see if we were happy. Absolutely. Everyone raved about the balloons and the perfect touch that they added. I really appreciate you taking care of us at the last minute. I will certainly keep Balloon Celebrations in mind for future events. I just wanted to tell you how pleased we were with your work. The Grant Room at the Union League room looked great on Saturday night!! Everything was perfect and just as you promised it. I would love to use your services again in the future and will be sure to recommend you to other party throwers!! Thank you!! Thanks again Rick. The display again looked great today, excellent job. 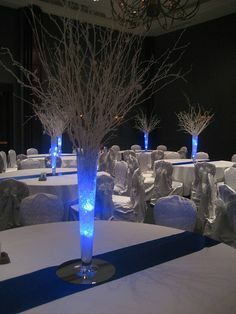 Also wanted to let you know that the decorations were very nice.......everything looked awesome and everyone praised your work. Amrita loved all the signs and the balloons. And it was a pleasure working with you too. Thanks the decorations were beautiful. We should be thanking you!! :) Thank you for making our event look beautiful :) We will be in touch for next year. Have a great holiday!!! The room looks absolutely beautiful!!! We were very please with your work! Gabriela even got to bring her name back home!!! It is still up! I will keep you in mind for my next event! I have been meaning to email you:) THEY WERE SOOO VERY HAPPY! You are ah-mazing!! We were simply stunned at how nice the room looked when we walked in! 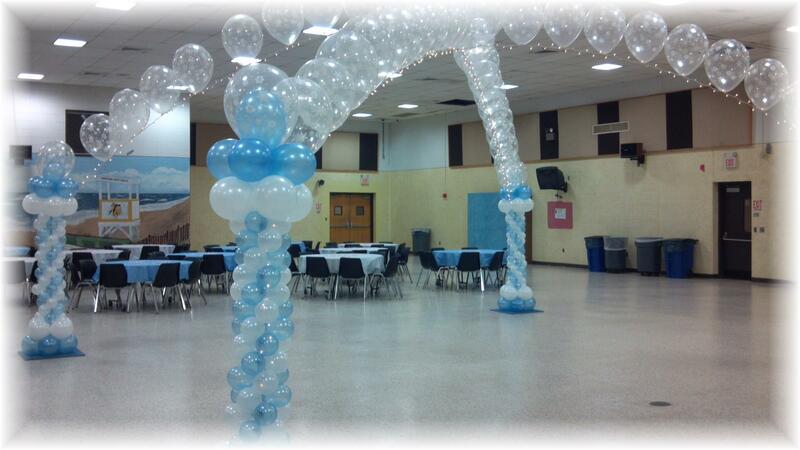 You did a great job the center pieces they came out great and we loved the balloon arch and the sign in board as well. The little lights on it added a nice touch! Hope you took some pictures of your work at the mansion so you can put it on your web site! Thanks Rick. As always, you did a great job. Thanks for accomodating the last minute changes. Thanks so much for taking the time to fill all of extra balloons. I know your staff was held up waiting for the box to be found. I appreciate their patience. The only thing Anna wanted for her birthday was a penguin balloon and stickers. That penguin balloon was very special, thanks for getting it done! She loved the way the penguins were surrounded by the silver balloons at the bottom. Everything was beautiful. The colors were perfect. She was so excited to see her name that big in balloons!! Thanks again for another great job. I hope I get a chance to get to work with you again. Thank you so much for everything. Yes, your crew did a good job preparing the balloons. Everything turned out great. Thanks again. You guys did an AMAZING job everyone loved the arch but even more were the pom-poms - I must have already sent your name and contact information to 3 people asking about the pom-poms! Well I got to campus on Sunday morning around 8am and the arch was gone (after our reunion parties we encouraged all our attendees to go to the local restaurant/bar to continue their night of partying -- the restaurant/bar is located right across from the building that arch was in) The only thing I could think that might have happened is that a few our alumni decided to take the arch . . . . I just wish we had camera that would of caught a picture of people trying to walk down city ave with this huge arch of balloons it must have been hysterical! Thanks again and you will be hearing from me in the future!! Everything was great – most people that know Ramblewood can’t believe it was the same place – it was amazing what the chair covers and elegant lighting can do! Welcome to Balloon Celebrations LLC. Serving New Jersey, Pennsylvania and Delaware for more than 31 years. 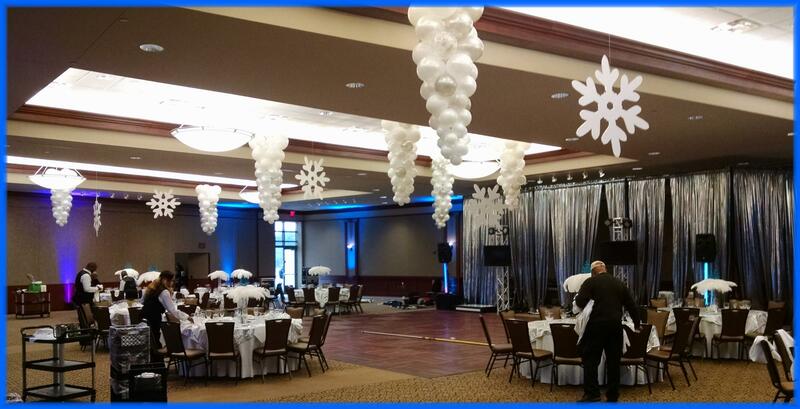 Whether you are planning a Bar or Bat Mitzvah, wedding, baby shower, birthday, grand opening or corporsate event, our creative staff is here to assisst you. 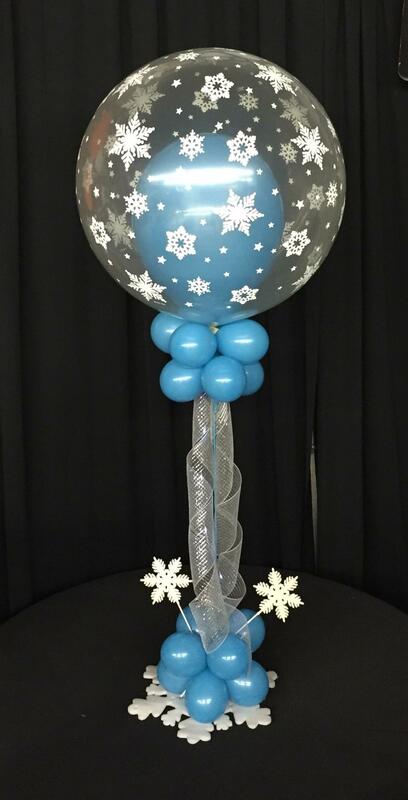 From concept to completion , Balloon Celebrations has been making memories since 1987. 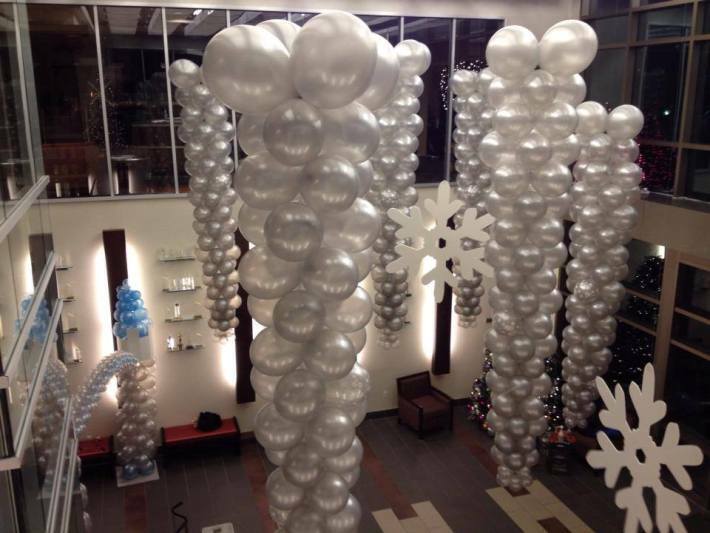 We deliver Balloon Decorations 7 days a week. We are located in Blackwood, New Jersey only 15 minutes from Center City Philadelphia.